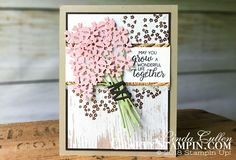 I love the color combo’s in the Stampin’ Up! Needlepoint Nook Designer Series Paper. I think Poppy Parade and any blue make for a great combination. The Needlepoint Elements Framelits Dies has this great stitched pattern that adds a great visual element to your projects. The greeting is one of my favorite sayings from the Needle & Thread Stamp Set. 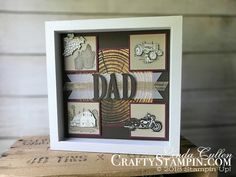 Who wouldn’t want to receive this great card?